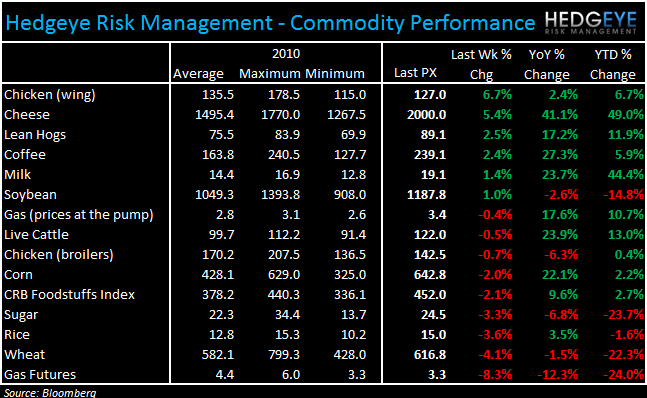 The important commodities, at least for the food and restaurant industries, were mixed in terms of price action over the last week. Grains moved lower, as did beef and chicken broilers, but wings, dairy and coffee posted strong gains. The supply and demand profile for beef remains highly bullish. 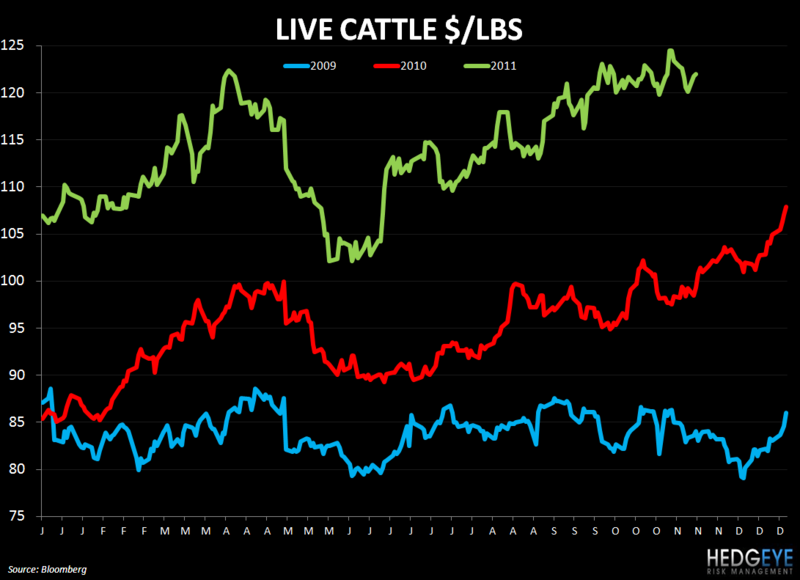 Despite the retracement in beef prices over the last week, the trend is straight up and to the right. 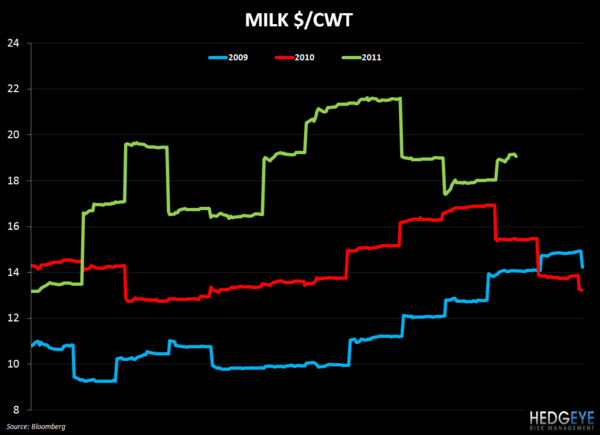 Some analysts are estimating that cattle feedlot placements in October fell 3.9% year-over-year, according to cattlenetwork.com. The USDA Cattle on Feed report comes out on Friday and, if there is a decline of the magnitude that some are expecting, it will be signal tighter beef supplies and likely higher beef prices in 2012. In the fourth quarter of this year, tight feed stocks and the seasonal uptick in the slaughter of cows is expected to support price. The demand setup remains strong as emerging markets, particularly in Asia, increase beef consumption and US exports continue to grow rapidly. In September, beef shipments were up double digits. We believe this is a negative for WEN, TXRH, and CMG. Chicken wing prices continue to march higher as year-over-year as chicken processors cut production and the year-over-year demand dynamics also support price. We are confident that wing price inflation is going to escalate into 1Q12 and put pressure on Buffalo Wild Wing’s margins and pricing power. Please see our note (“BWLD: PARTY’S (ALMOST) OVER” 11/16) for further details. 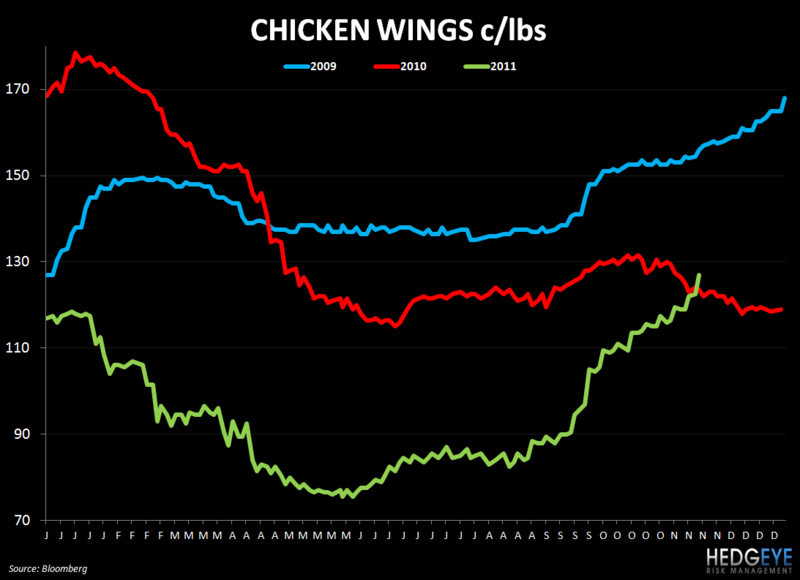 Chicken wing prices are now up year-over-year for the first time since 2Q10 (chart below). Grains’ decline over the last week is a positive for the restaurant industry. 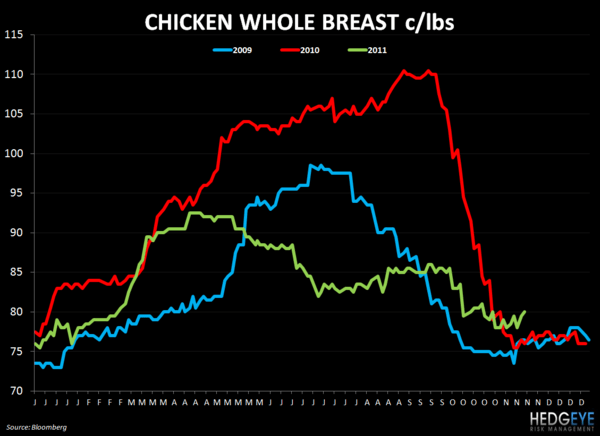 As a word of caution, prices need to come down considerably for protein producers to feel any relief and the benefit of that to pass through to purchasers and consumers. 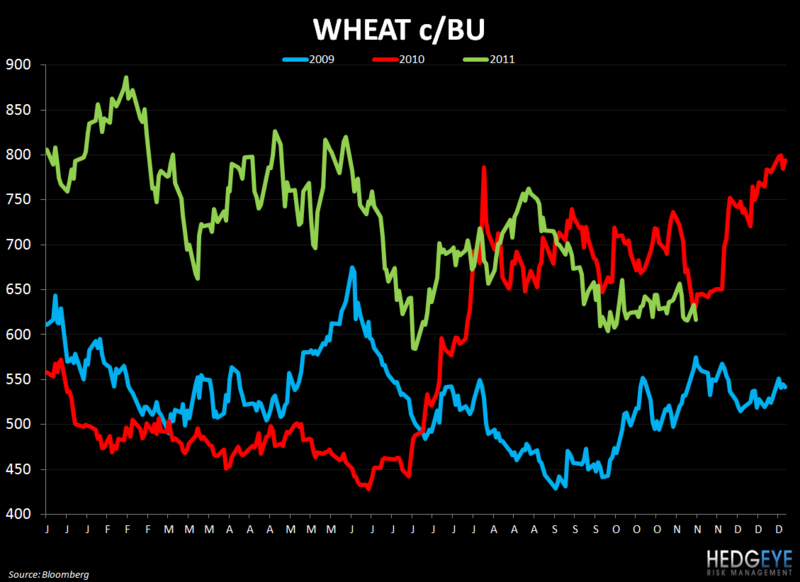 For PNRA and the pizza names, the decline in wheat is a positive. 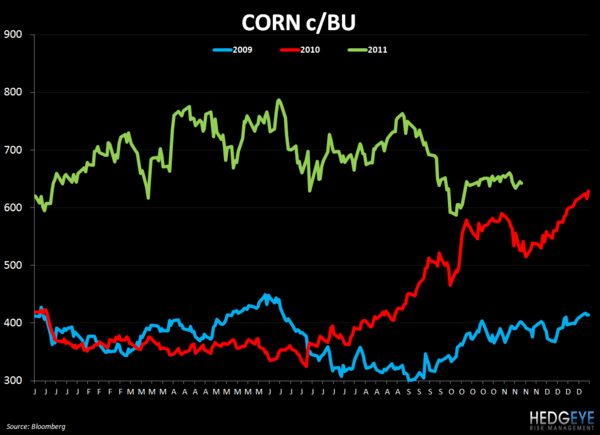 AgResource is predicting that the 2012 global wheat crop will be flat while the corn crop, due to a projected increase in U.S. production, will be up year-over-year. 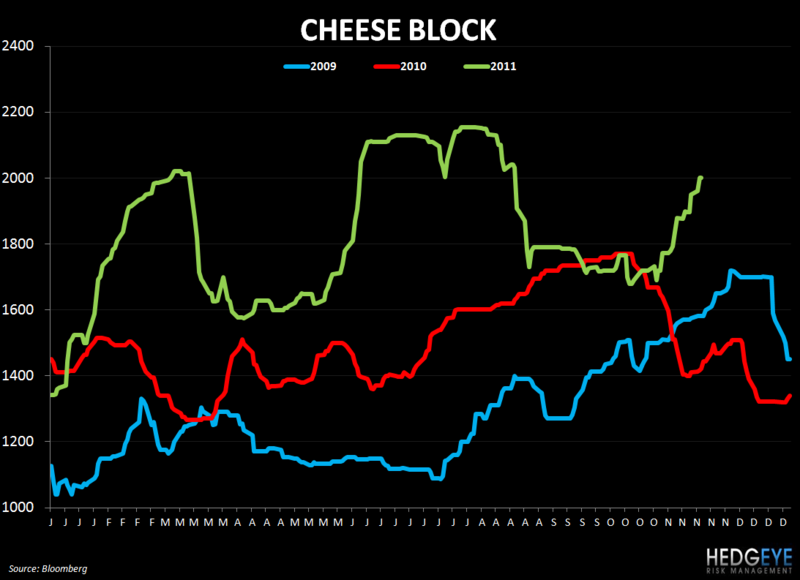 Dairy moved sharply higher over the last week despite concerns about soft economic trends in Europe. The recent spike in prices is a concern for The Cheesecake Factory and Texas Roadhouse and comes as global dairy supplies have been increasing. 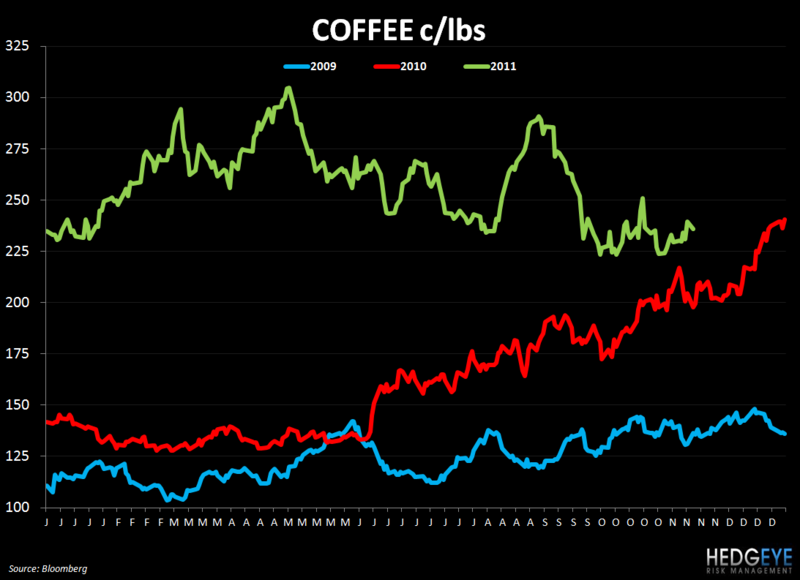 For CAKE, in particular, we see this as having an impact on gross margins. Management, earlier in the year, guided to favorable dairy prices in the fourth quarter on a year-over-year basis.